There are many ways to apply the Sports Odor Eliminating powder. It’s a versatile, easy to use product. Simply sprinkle directly over your equipment, then shake off the excess powder. You can opt to keep the powder in the Release bag. The powder will work to absorb odors and freshen the air in your gym bag or locker. 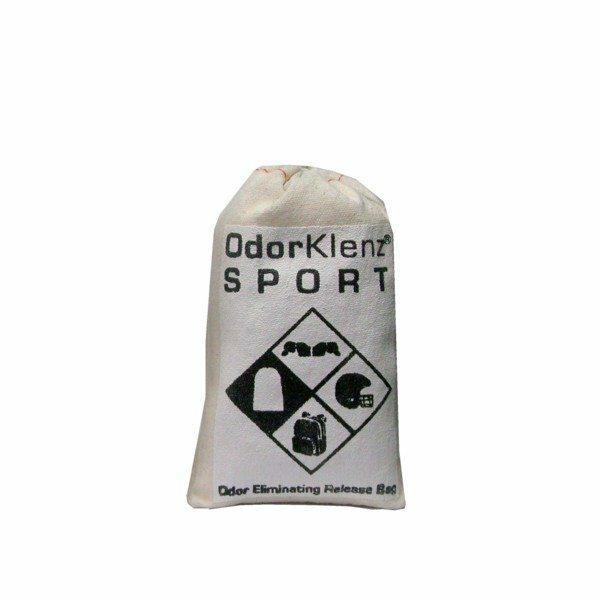 The Sports Odor Eliminating Release Bag can even be used in your trunk, where odors from your equipment can be absorbed into the upholstery of your car. Place the bag where desired, and smell the clean, odor-free air! 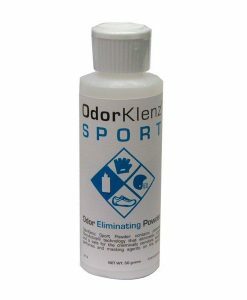 The Sports Odor Eliminating powder is ideal for the athlete that has sensitivities to chemicals and fragrances. No bleach, perfume, or harsh chemicals are used. Our commitment to athletes and you remain as steadfast as ever. 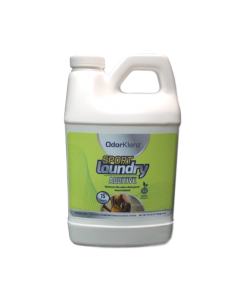 Natural ingredients, superior neutralization, and removal of odors with the first use. Don’t waste money on multiple heavily fragranced powders that just mask the odors. Clean equipment, with OdorKlenz. We all have that gym bag. The gym bag that you throw all your equipment into after the game, zip it up, and head home. While you are showering and relaxing after practice or an intense rival game, your sports equipment is still working. All the sweat, turf, and dirt that you accumulated during your game, or on your run, is busily working and multiplying bacteria that let off an unpleasant odor. The odor that wafts out of your bag, or out of your locker every time you open it, coming from equipment that you can’t hose down and wash. The bacteria is working just as hard as you do on the field, seeping into the material of your gym bag, and into the walls of your locker. As athletes, we know this smell. That odor that knocks you flat. That’s why we have created our innovative and revolutionary OdorKlenz Sports Odor Eliminating Release Bag. 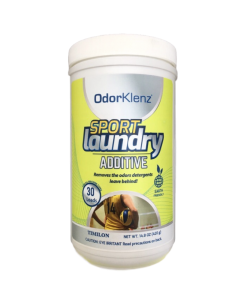 Using the renowned OdorKlenz formula, with no harsh chemicals, bleaching agents, or heavy fragrances, our Sports Odor Eliminating Release Bag powder is safe enough to use around kids and pets. The lightweight powder can be used quickly and efficiently to remove odors right before practice. Imagine trying to lift weights, or catch a football, or go for a long run in the cold with smelly fitness gloves. The odor is coming at you every time you lift your hands. To effectively neutralize and remove odor, simply sprinkle on some of the powder. Our powder is lightweight and non-invasive. You won’t be dealing with power residue after using our product. 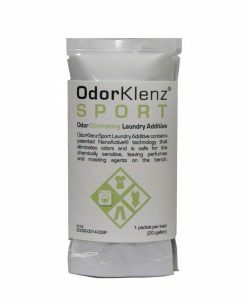 Click here to learn more about how to use the OdorKlenz Sport Release Bag. It was the only product that actually neutralized the odor in my son’s soccer cleats! It’s amazing! FINALLY – something that gets rid of the smell of death in volleyball kneepads & shoes! We found the OdorKlenz sport release bags at a volleyball tournament in the Dallas Convention Center. Just a quick tap of the bag on the kneepads and the smell is immediately gone. No more long car rides home gasping for fresh air. I LOVE this product and have recommended it to all my fellow coaches, my daughter’s teammates and friends. Thank you OdorKlenz!